New York City is not only known for its Broadway musicals, but it's also a huge destination for tourists hoping to catch a live taping of a talk or comedy show. If you'd like the chance to be a member of a live studio audience, there are plenty of opportunities in the Big Apple year-round including "LIVE! With Kelly and Ryan." 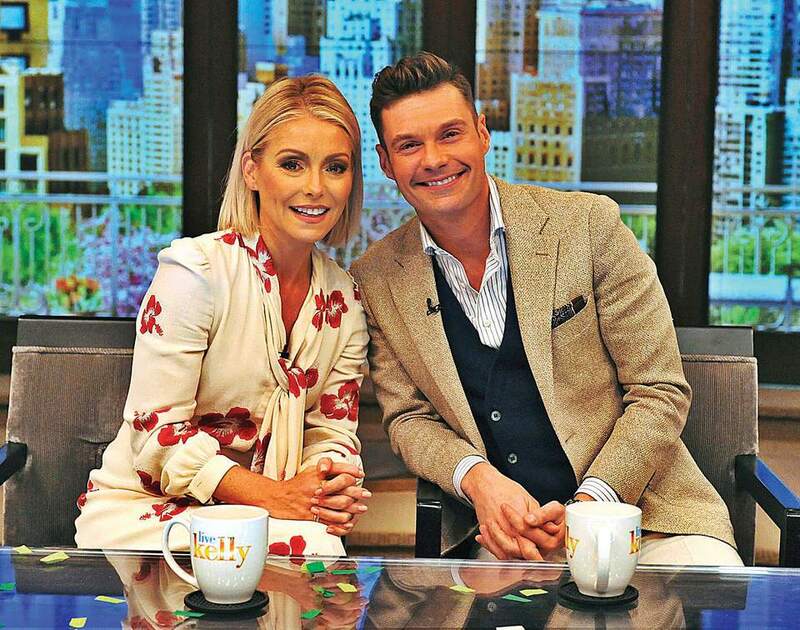 Kelly Ripa has been on LIVE for 15 years and has stood the test of time as an Emmy-winning host of the show while sharing the spotlight with Regis Philben, former NFL star Michael Strahan, and now Ryan Seacrest. If you want to request tickets to "LIVE! With Kelly and Ryan" in advance, tickets are released a month at a time, about two months before the show date; for example, in early April, they will release tickets for the month of June. You can place a request for tickets on their website or try your luck with standby tickets at the studio at 7 Lincoln Square on the morning of the taping. "LIVE! With Kelly and Ryan" is taped in front of a live studio audience at ABC Studios at 7 Lincoln Square (Columbus Avenue and West 67th Street) in the Upper West Side. Tapings start at 9 a.m., but even if you have an advance ticket, you should expect to arrive at the studio no later than 7:45 for seating. You must be 10 years of age or older to attend, and children under 18 must be accompanied by a parent or guardian. A "LIVE!" taping takes around 60 minutes, but taping for additional promotions and segments may take an additional hour. If you are hoping to get standby tickets on the morning of the show, you should arrive no later than 7 a.m., which is when the box office opens and begins accepting requests for a standby number. Standby tickets are handed out on a first-come, first served basis, so the earlier you get in line, the better your chances of seeing the show. Once you've requested a show date on the official "LIVE!" website, you will receive an e-mail confirmation with your ticket inside. All tickets to recordings of the show are free, but having a ticket does not guarantee entree—especially if you arrive late. However, if you have a ticket and are denied entry to a recording of "LIVE!" With Kelly and Ryan," you will be issued a VIP ticket to a future taping, which grants you special access to the show and its host. Producers of "LIVE! With Kelly and Ryan" request audience members wear what they would to "a nice dinner," and "solid bright colors are preferred." Dress appropriately for the weather as audience members will have to wait outside the studio before being seated, and the studio can also get quite chilly with the air conditioners on. Additionally, t-shirts and hats with large logos should not be worn.